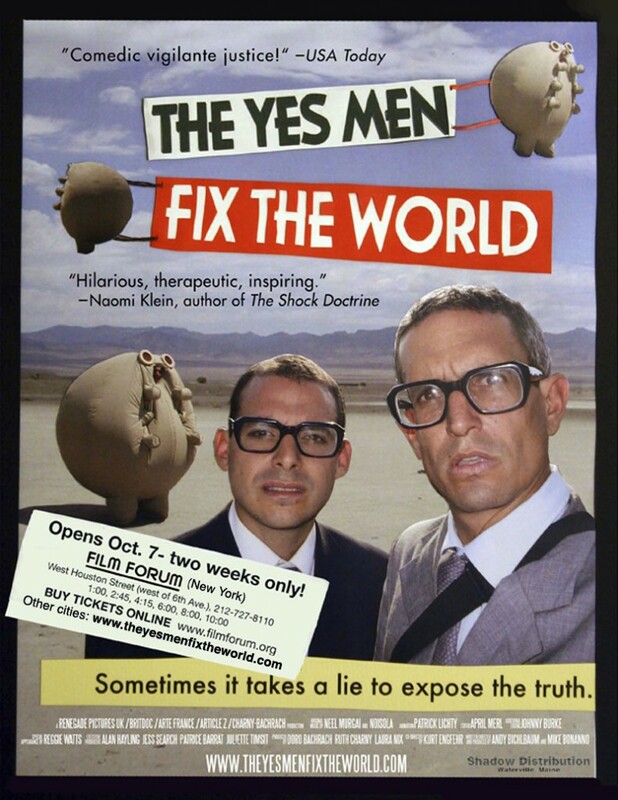 The Yes Men are Andy Bichlbaum and Mike Bonanno, a culture jamming activist-duo raising awareness around social problems caused by corporations. Operating under the mission statement of telling the truth and exposing lies, they practice a concept they call “identity correction”, in which they impersonate entities that they dislike — some would call it social engineering on a grand scale! From their offices in Milwaukee, they create and maintain fake websites similar to ones they intend to spoof, which have successfully lead to numerous interview, conference, and TV talk show invitations. These occasions are then used to expose, through parody and surreal humour, the dark motivations of our multinational world. They already produced two documentaries: the first was simply called “The Yes Men” and the second is “The Yes Men Fix The World”. Both of them are entertaining and inspiring at once, even if the newest goes much further in any aspects than the first one: an absolutely top-notch film making that everyone should see! Additionally it is Creative Common licensed, and distributed via P2P from the VODO platform. 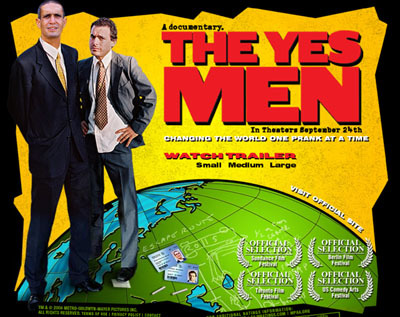 Their official web page is http://theyesmen.org/ let’s support them!